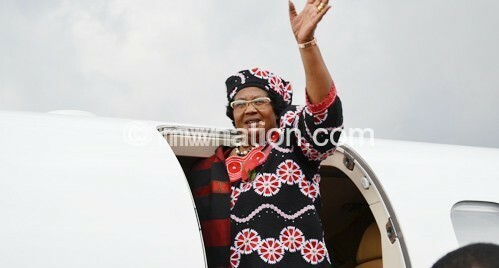 Former president Joyce Banda will on Thursday be guest of honour at a global gathering of women leaders in Accra, Ghana. Ghana’s online media www.myjoyonline.com, reported that the former president will also help launch “Elect Her In Africa” [Ehia], an organisation aimed at encouraging women to run for elected offices in Africa and encourage governments to appoint women to various positions. Ehia is an initiative of the Joyce Banda Foundation and Africa Union/Diaspora Africa Forum. Among the women that will speak include former first lady of Ghana, Nana Konadu Agyeman Rawlings; Senator Geraldine Doe-Sheriff of Liberia, Senator Binta Masi Garba of Nigeria and Madam Mary Broh, Mayor of Monrovia in Liberia. One of the organisers, Flossy Tachie-Menson, said the Forum will connect some of the most influential women leaders on the African continent. “The main mission is the advancement of the feminist movement and strengthening the influence of women in business, government, academia and society in general. This Forum will help us focus on empowering African women excel in various aspects of life,” Tachie-Menson told online media. This JB’s international facade is now getting stale. If she wants to be a hero, why not first come home and face the cashgate music? Being afraid of coming home is precisely what happens when corrupt leaders lose power: their freedom is no longer guaranteed. 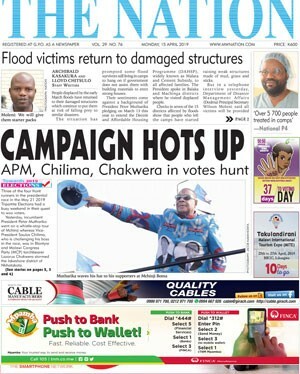 When Bingu died, his own brother ordered that his ribs be broken — just to hold on to power a little longer, while trying to pull off some political shenanigans.